Deserving skin finds indulgent renewal and radiant beauty with this luxurious body oil. 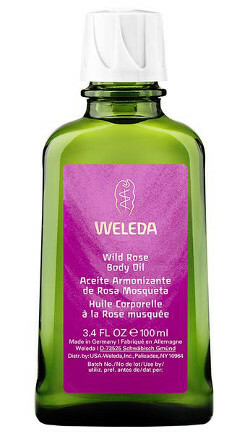 Wild Rose Body Oil is a full-body pampering with the most precious essential oil and botancial extracts for rich moisture and a nourished glow. Ingredients: Simmondsia Chinensis (Jojoba), Prunus Amygdalus Dulcis (Sweet Almond), Rosa Moschata*, Rosa Damascena*, Fragrance* (Parfum), Limonene*, Linalool*, Citronellol*, Benzyl Alcohol, Geraniol*, Citral*, Eugenol*, Farnesol. *from natural essential oils.